The streets that interlace our cities are towns are pretty great. They hide tons of our water, gas, electric, and telecom infrastructure. They’re most any municipality’s single largest public space asset (and when they’re consciously used as such, they can contribute greatly to urban culture). Plus, how hard would it be to push your stroller (or bike, or wheelchair) over a surface of sand, rocks, clumps of grass, or bare dirt instead of over pavement? Streets do have a lot going for them. Yet, like everything else, streets have their problems—first and foremost, how dangerous it can be to use them when cars are around. Between 2003 and 2012, close to 50,000 people died while walking on America’s streets. Smart Growth America says that’s “16 times the number of people who died in natural disasters during the same ten years, but without the corresponding level of urgency.” Worse, low-income people of color are particularly likely to become victims. 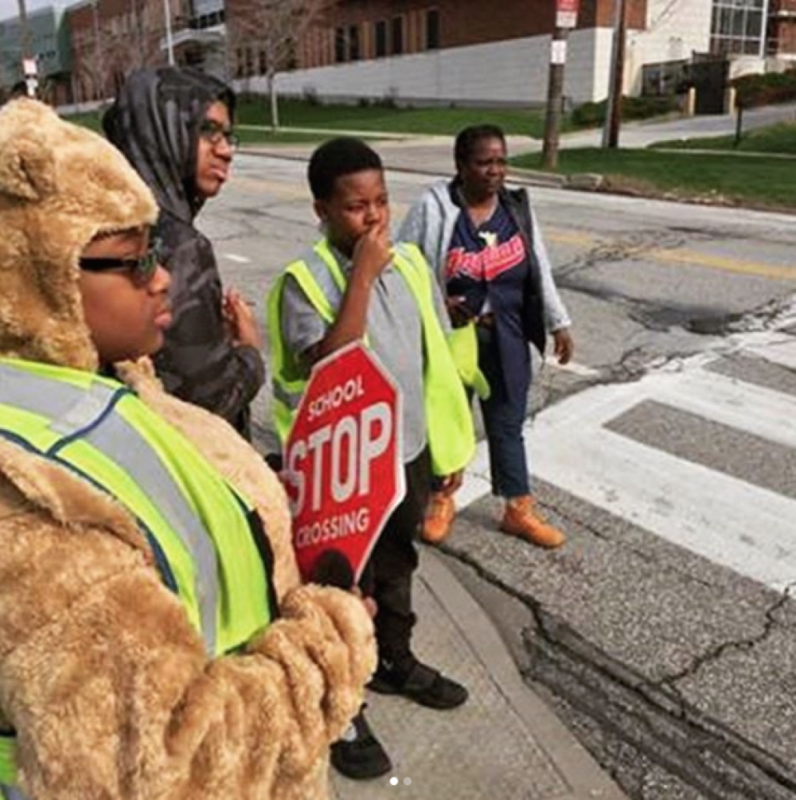 In addition, pedestrian crossing laws vary by state, so unlike the universal red light or double yellow line, it can be hard to know whether a vehicle is supposed to stop for you, where you’re safest crossing if there are no pedestrian markings, etc. Yeesh! Thankfully, there are solutions to these problems, and one of our favorites is (surprise, surprise) of the low-cost, high-impact variety. That’s right: it’s the humble crosswalk! 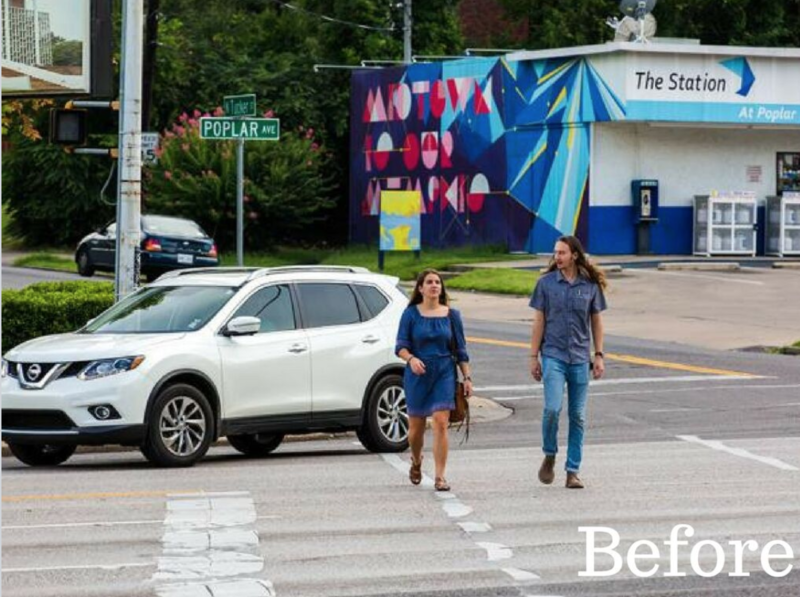 Here are four great ways we know of to help pedestrians and cars keep a friendly distance in your community—no bank loan or degree in urban planning required. For the same reason hikers wear “blaze orange” during hunting season, waving a brightly colored flag as you cross the street can help make your trip to the other side safer. Read ioby Leader Sarah Newstok’s five-step process for bringing crosswalk flags to a popular intersection in her Memphis neighborhood. 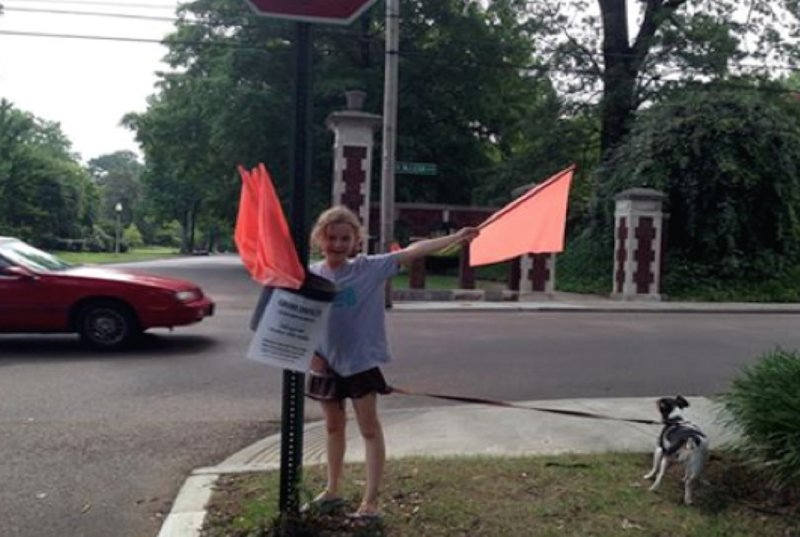 Bonus: Sarah says the city installed a crosswalk sign at the intersection after seeing the flags in action! We can’t put it better than Bike PGH: “Come rain, come shine, come snow, come sleet… the show must go on! Regardless of the beautiful (or not-so-beautiful) Pittsburgh weather, crossing guards brave the elements to help you get to your destinations safely throughout the day.” Some cities and states have an annual crossing guard appreciation day or week, but you don’t need a holiday to gather a few neighbors, bake a batch of cookies, and greet your local street shepherd with a big thank you once in a while! 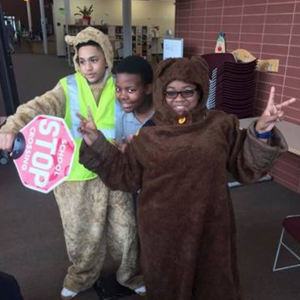 Crossing guards can and do save lives—and some even go above and beyond that call of duty, like incomparable ioby Leader Lucille White. While we’re wild about tactical urbanism (one of the guys who literally wrote the book on it, Mike Lydon, is a member of the ioby Action Corps), we acknowledge that not everyone feels the same way. 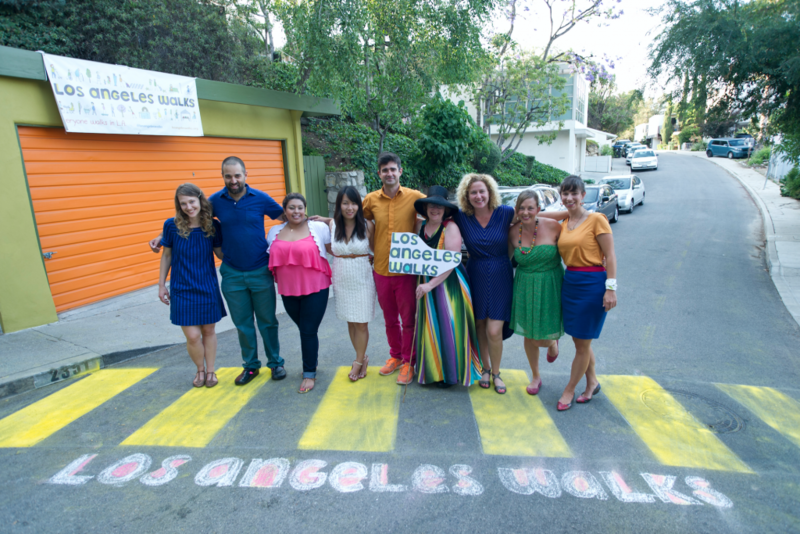 If you go out and straight-up paint a crosswalk in where there wasn’t one before, you might be celebrated by your neighbors—then arrested by local law enforcement. A less risky move that can bring about many of the same good results is implementing a temporary crosswalk. 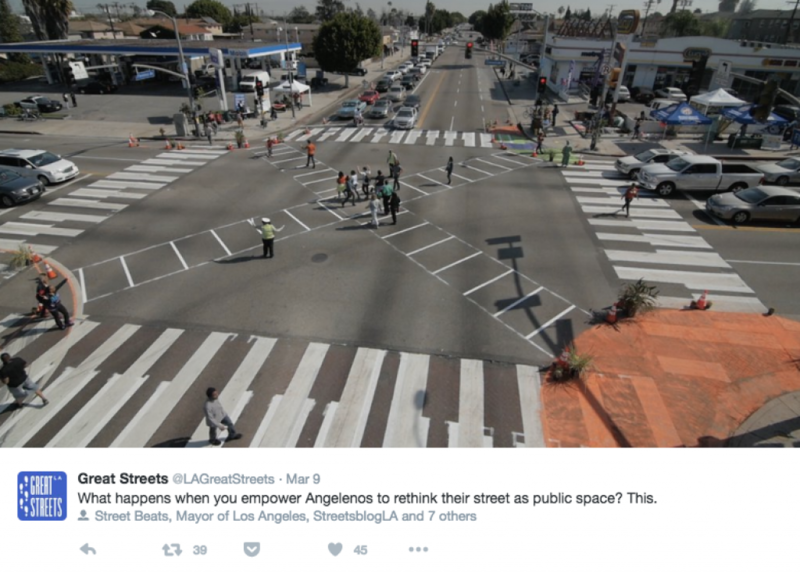 You can go super minimal (like this Brooklyn project with a budget of $65) or all-out creative (like this L.A. ‘complete streets’ jam that raised $10K). At any scale, temporary projects can show your neighbors how the streets you share could be better, and if your local government catches wind that an experimental street improvement is popular with the public, they’ll have good reason to prioritize making it permanent. In urban planning, a walkabout is also known as an audit or field visit. 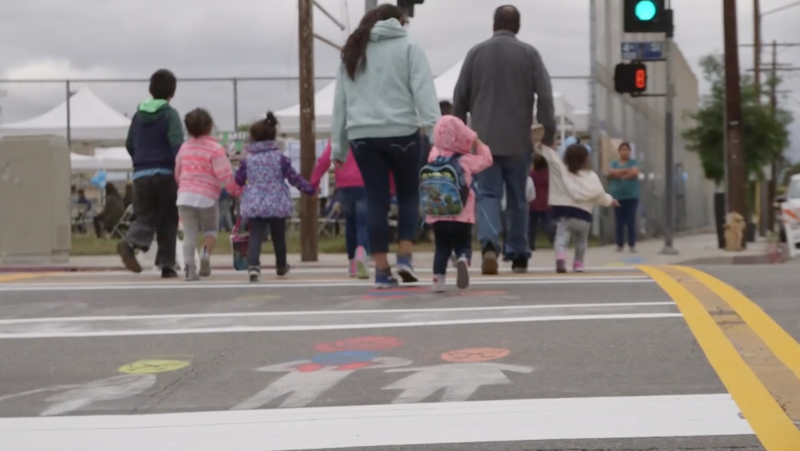 While that might sound formal, all it takes is a few people getting together to observe, record, and discuss their neighborhood concerns—like safe street crossing. After documenting their findings and thoughts, the group invites area stakeholders (such as schools, pedestrian advocacy groups, and local police precincts) to review and comment on their findings. If the stakeholders are supportive, the group can use their backing as leverage to approach city government about the problems—and solutions—they’ve identified. 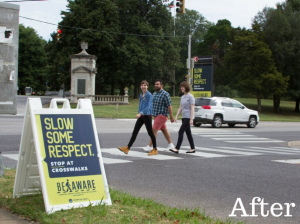 The U.S. Department of Transportation spells out its recommendations for planning and promoting change with walkabouts in their Resident’s Guide for Creating Safer Communities for Walking and Biking. 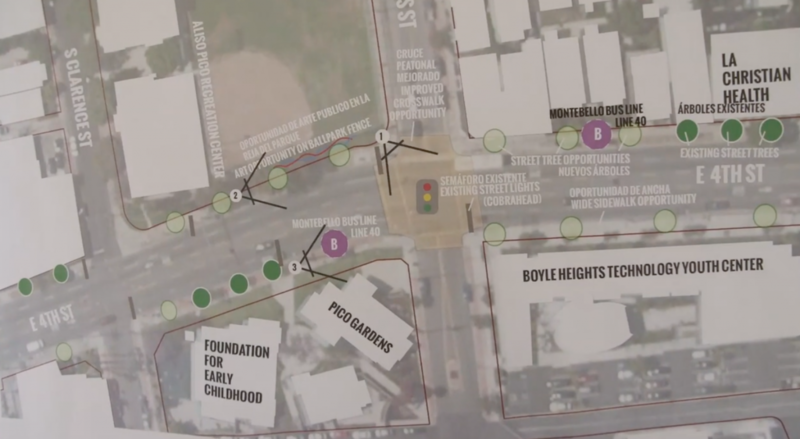 We hope these community-centric crosswalk ideas have put a spring in your step. Walk on!